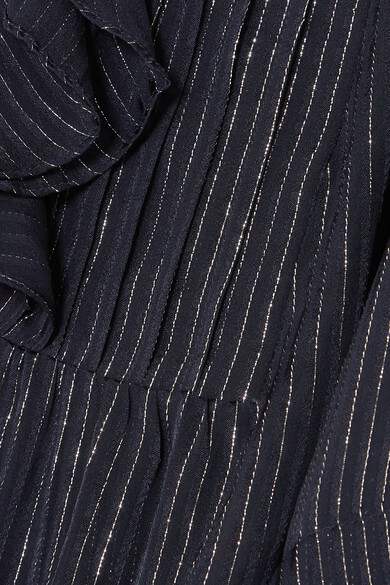 Paul & Joe's clothes come alive when they're worn - if you've ever watched one of its shows in Paris, you'll know what we mean. 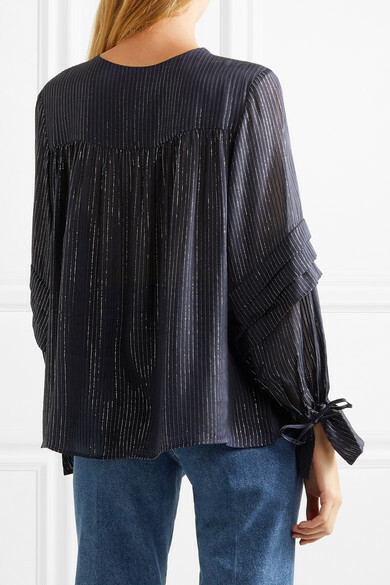 This blouse is made from silk-blend chiffon that's striped with glistening silver Lurex threads. 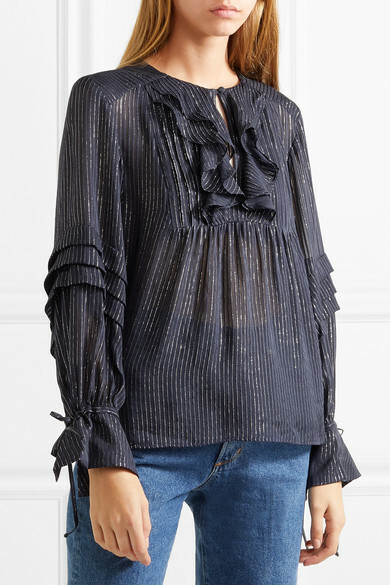 The ruffles along the neckline and blouson sleeves enhance its sense of lightness in the loveliest way. 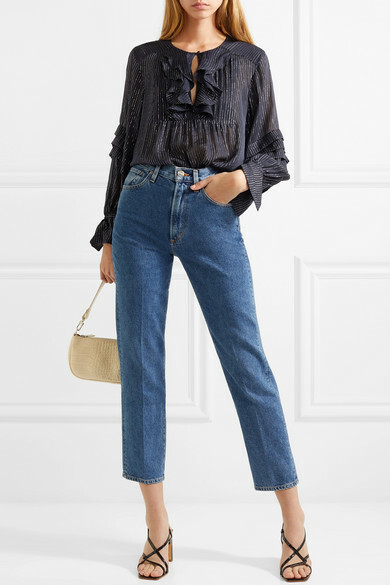 Shown here with: Goldsign Jeans, BY FAR Shoulder bag, BY FAR Sandals.